Fifth up and hot in a brand new series of phenomenal live artists, up close and personal at The POW. A rare opportunity to catch these huge stars of soul, funk and acid jazz in an intimate 400 capacity deco dance hall. With great sound, wonderful drinks and a fantastic roof terrace smoking area. These tickets will fly, so get yours quickly before they sell out. 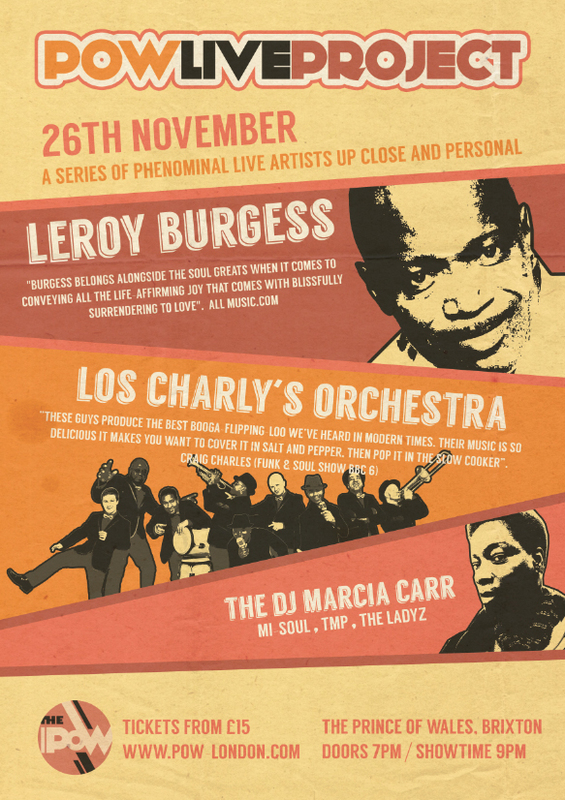 Leroy Burgess (Conversion, Logg, Black Ivory) + Los Charly’s Orchestra come together for a unique all Live and full band tour de force of Disco, Latin, Funk ‘ n ‘ Soul. This entry was posted in Blog and tagged Boogie, Disco, Funk, Leroy Burgess, London, Los Charly's Orchestra, POW, Soul, The Prince Of Wales, Uk on September 15, 2015 by admin. Is been a couple of years now since UK singer Chennez Mckenzie started her studio recording collaboration with London based producers Juan Laya & Jorge Montiel. Now, the the project comes to live with the launch of their latest band “Chennez & The Midnight Players”. 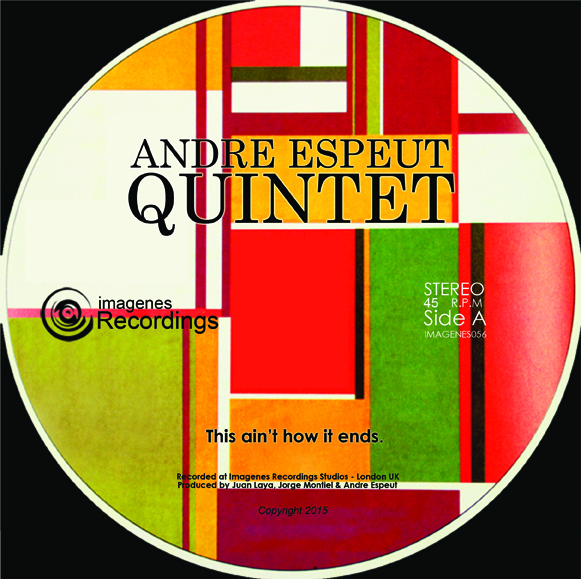 Imagenes Recordings is proud to present the latest dancefloor Jazz groover of Andre Espeut Quinet. Its been a few years now years since the first two releases of the Quintet, which has had an incredible response from many radio shows in the Uk and overseas. ©Imagenes.co.uk 2005 - 2019 - All rights reserved.